Crossbred or a dang big QH gelding right here! This is Big Mack and he is a teenager, but he is one broke son of a gun. Hes been used for literally everything. He is 15/16 yrs old, and is 16.1-2h and I do not have papers. Ive had horses a long time though and hes not ancient. He is sound but he did have a abscess that left a crack in his front hoof. He is barefooted in the video. 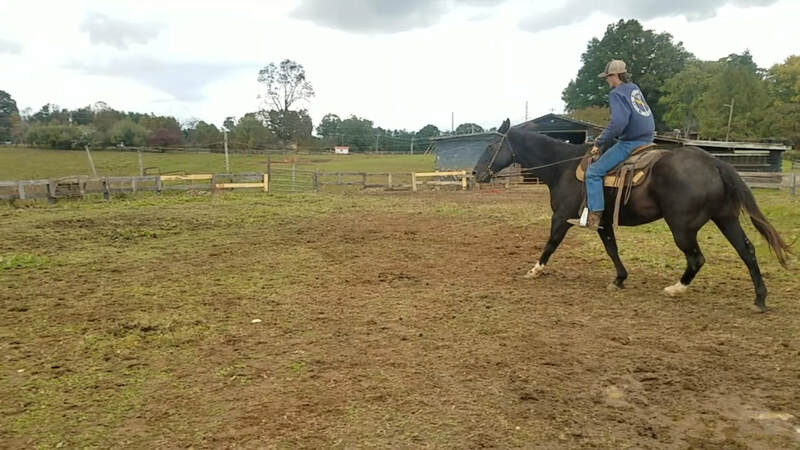 Wyatt does all he can to help me but hes a roder rider and hes learning but you can see how dang forgiving this big fella is! He just has a plain snaffle in there and he is trying to just trot around and gets bumped every stride, its just one of those things .... I left the whole thing in the video so those of you can see how tolerant he is, how dang uber quiet, and patient. He knows his leads, he will easily walk trot and canter but also has a very nice smooth jog and lope on him. This horse is an easy 1400#. I dont know if hes a crossbred(like perch or frie crossed back on something) or a QH, but hes good boned and good footed. Hes so dang sweet! He loves to be brushed and petted on. The other horses pick on him in the pasture he is LOW man on the totum pole.He shoes but hes barefoot right now. 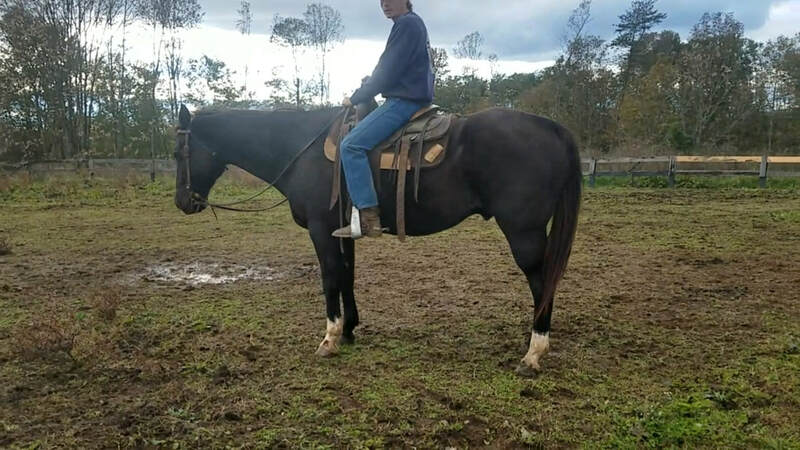 He is kind, and gentle, and has no vices, loads, stands tied all day, patient to saddle and bridle, great asset if someone needed one big horse for lessons! Ive had him a while. You can pull him out and put a complete beginner on him, or put a tiedown on him and a shank and this dude is a power freaking house... used to catch up bulls, rope rank bucking stock, pushed cattle, trail and wagon trained all over. He costs a quarter and that is what its gonna take to pry him away from me. He is a good one. Ropes and all that, will rope head side and catch wild cows, but he needs an experienced rider if you want that speed... but we just ride him eeeeeasy. Latley he has gotton sour to ride out by himself unless you get on, and go away(meaning you ride around the farm where his buddies are, outside of the ring, and hes going to be a snot head) he knows better in the ring, and its because Ive let beginners on him oodles of times and he gets by with it) if you have one or two other horses its not an issue but folks coming to the farm to ride outside the ring by himself he shows his hiney.